Deserve a weekend away? Of course you do! 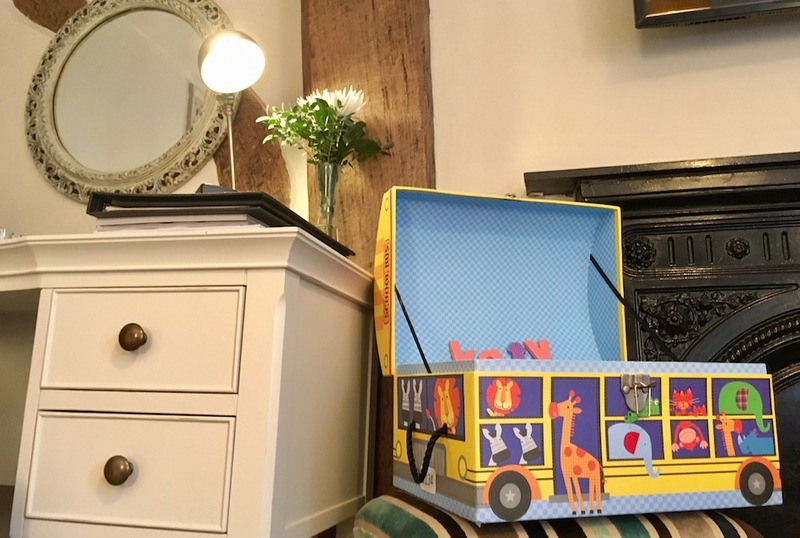 The Stag on the River in Surrey is offering Muddy Stilettos readers a fabulously generous 25% off its Bed and Breakfast prices. 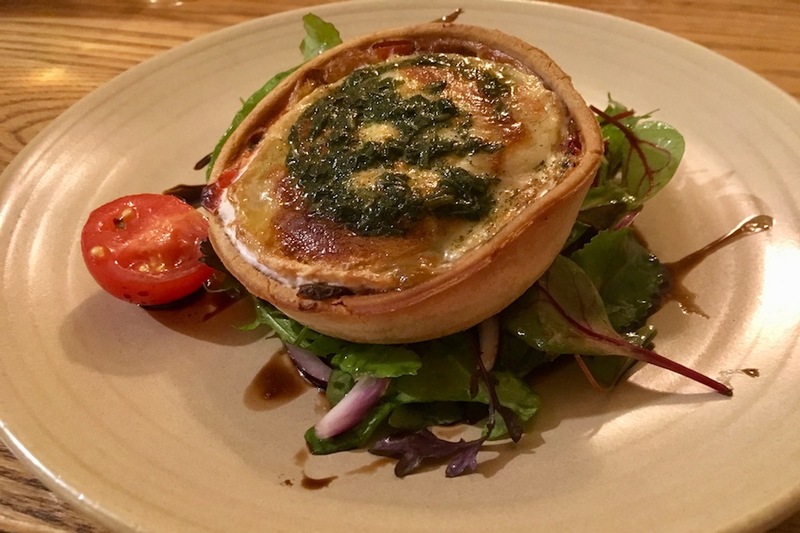 Check out its country chic rooms and comfort food in this review from Amber over at Muddy Surrey and see the end for discount deets. 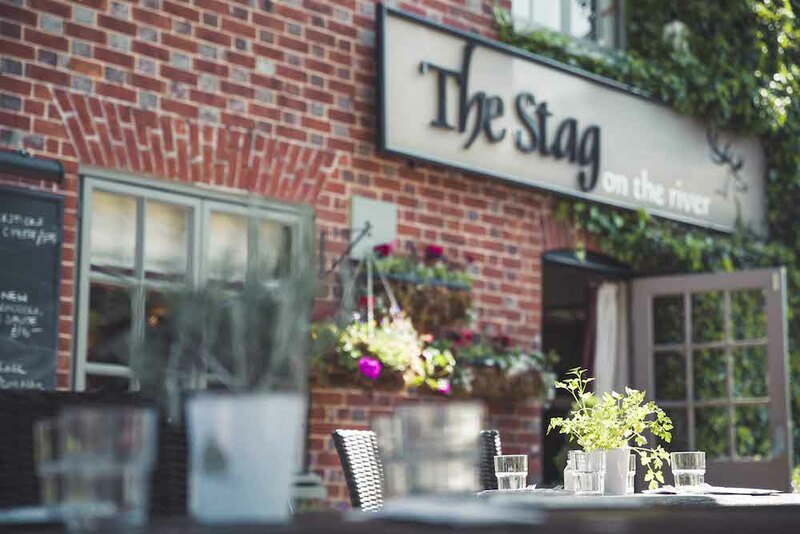 I’ve long been a fan of The Stag on the River, a gastropub which sits on the banks of the River Wey in the quaint village of Lower Eashing, near Godalming. It’s just a stones throw from the A3, over a picture postcard bridge that was constructed in the 14th century by monks Waverley Abbey. 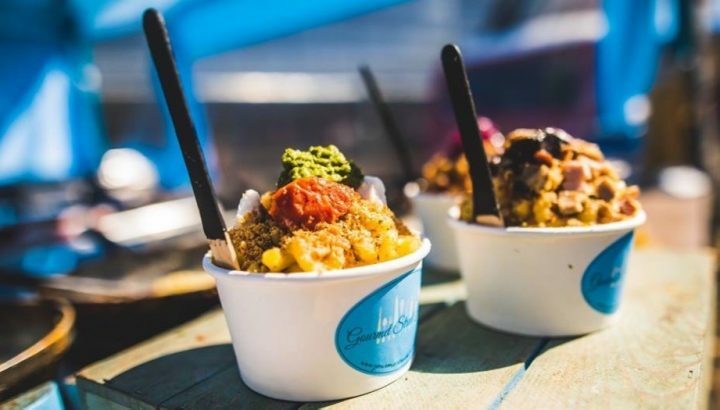 There’s not much else in Lower Eashing – the bottom half of the Eashings – apart from a collection of pretty period houses and a business park on the site of a former mill. It feels pleasantly tucked away from the rest of the world – and a lovely spot for a getaway. 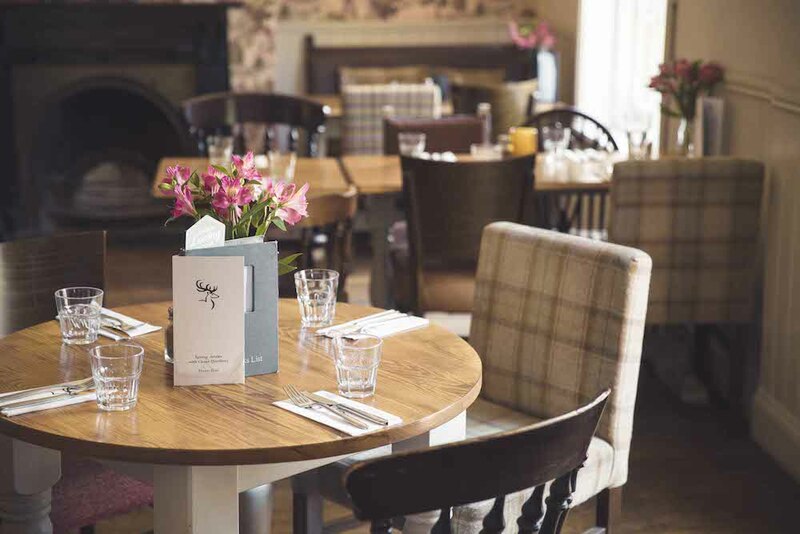 The Stag is a relaxed and friendly country pub. I arrive late afternoon on a Thursday to find a small contingent of locals cosied up in armchairs around a crackling open fire with a pint of the local Hog’s Back Brewery’s ale in hand. I’m greeted by Rob, one of the managers, who shows me upstairs to my room. Mr Muddy is arriving a little later on the train from London to Milford station, less than two miles away. Outside, there’s both a terrace and garden overlooking the Wey, for those days when the sun is shining with a little more vigour. Today, though, was a day for snuggling up indoors, so I curled up on the big soft sofa in my room with my copy of Roz Morris’s new book ‘Not Quite Lost’ to soak up the peace and tranquility, and sip on the complimentary bottle of Hog’s Back Brewery Ale. There are certainly worse ways to while away an hour or two. 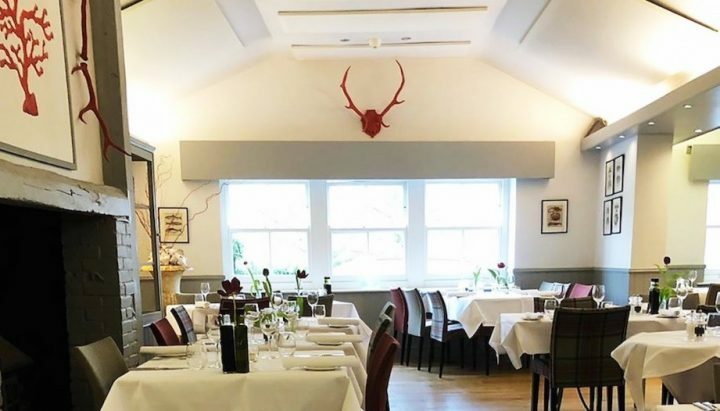 There are seven rooms at The Stag – three are in the original part of the 18th-Century inn, and the other four are in a newer addition. We stayed in Shackleford, the largest room in old bit, and it’s brimming with character. Handily, there’s also an almost secret door connecting this room with one of the others, creating a brilliant family suite. You’d be forgiven for thinking you’d had an ale too many on the walk up the stairs in the older part of the pub, as the walls slope one way, the floors another, and the oak-beamed ceilings yet another still. It all adds to the delightful eccentricity of the place. The rooms a beautifully appointed, and a cut above bog-standard pub B&B rooms, to say the least. The beds are The Business – enormous sleep-inducing slabs, dressed with crisp white linen, piles of huge fluffy pillows and gorgeous throws. The devil’s in the detail, and I loved all the little touches – proper, chilled milk for your cuppa, Hampshire-roasted Mozzo coffee, fluffy towels and dressing gowns, and luxury ESPA toiletries. Oh, and excellent wi-fi. A pint of ale in the bar before dinner, and I was ready for a good feed. The emphasis here is on quality locally sourced food. And it’s as hearty as it is good. 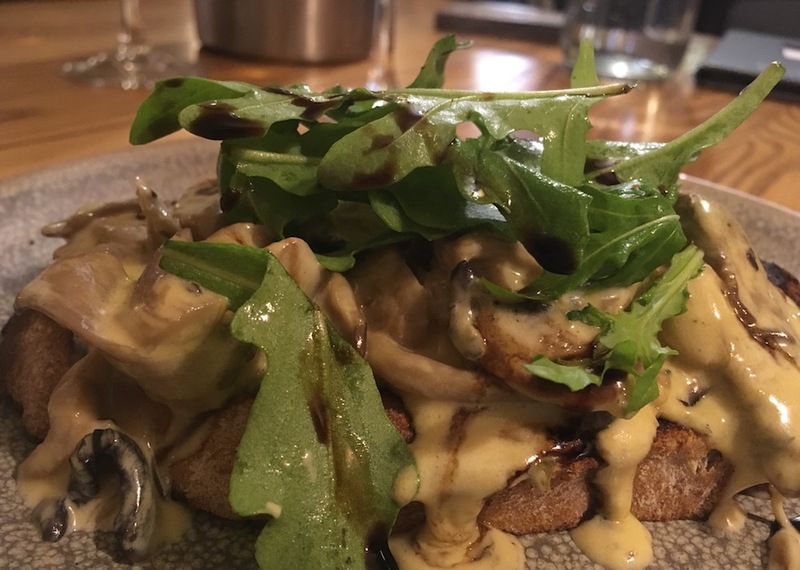 I started with wild mushrooms and Blackstick blue bruschetta with rocket from Secretts farm (just down the road) and Mr Muddy – who loves a tart!! – went for the sweet pepper and basil tart. Both went down a treat. 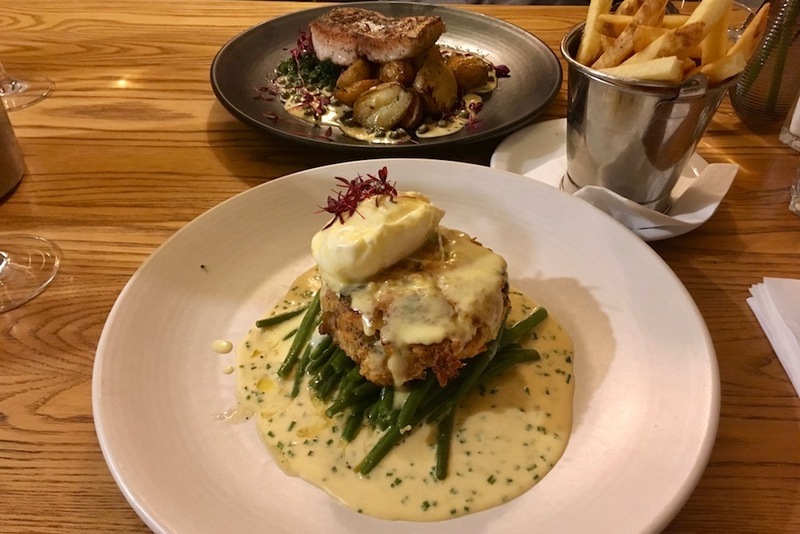 Moving on to mains, I went for the panfried fillet of hake in a caper sauce and the mister went for the smoked haddock, salmon and crayfish fishcake which was topped with a poached egg and hollandaise sauce. Mine was divine. His looked divine. Neither of us shared! 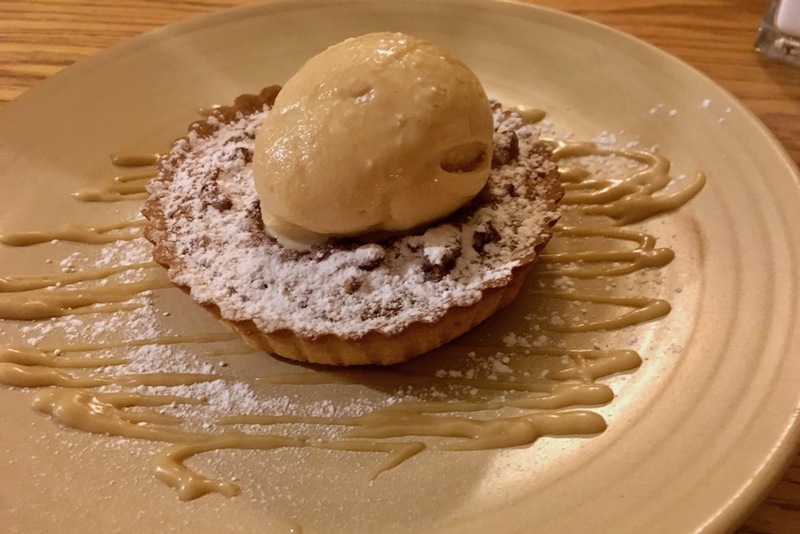 Puds were gorgeous too – the white chocolate and honeycomb cheesecake for me, and for him the pecan pie. The next morning we wandered downstairs to a lovely continental breaky. Absolutely. Another of the rooms had been set up to accommodate a family with a toddler. And again the devil was in the detail: a box of toys for the children, including squidgy toys to stick to the shower walls. There’s also a Little Stags menu for kids that includes things like BBQ chicken wraps, tomato and herb pasta, and sausage and mash. You’re pretty well situated here for plenty of nearby attractions. The gorgeous gardens of the National Trust’s Winkworth Arboretum are not far, or for a spot of culture head to the Watts Gallery and Artists’ Village a little further up the A3 in the pretty village of Compton. Godalming is only a few miles away, and it’s a lovely town for a wander around. But you’ll have to tear yourself away from this riverside setting first. Good for: Anyone who wants to escape to the country for a really lovely lunch spot with friends/family, whatever the weather. 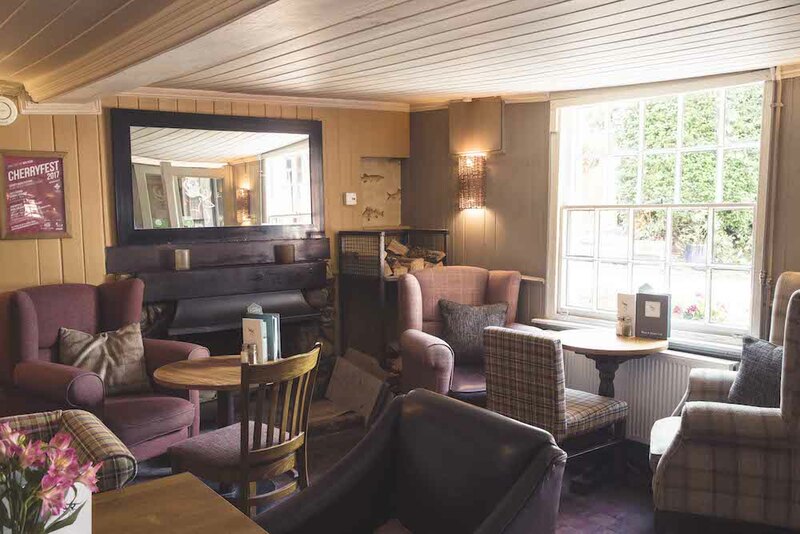 Ideal for a beer and snack over summer, and the perfect place to cosy up during the winter months. Not for: Those craving bright lights/ big city thrills may find it a tad serene. But to be honest, that’s the whole point – you come here for luxe R&R. 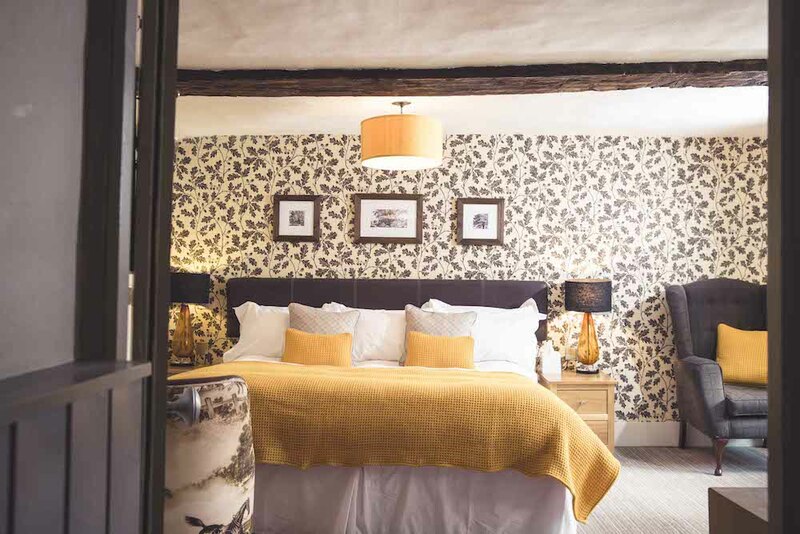 The damage: B&B packages start from just £80 per room, per night; dinner, B&B packages start from just £110 per person, per night – very reasonable given the quality of the rooms, food and service. 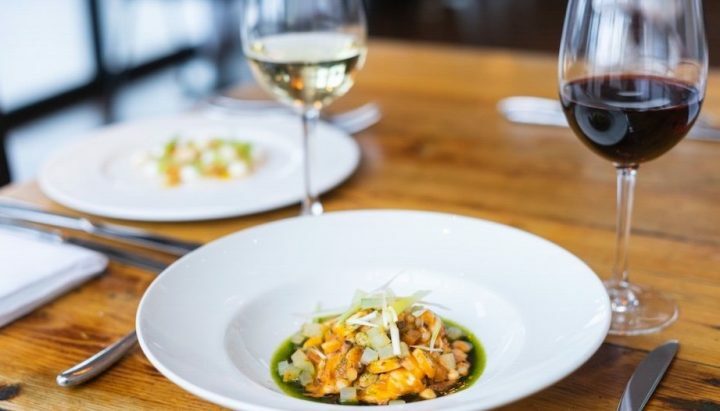 In the restaurant, starters are from £5.75 up to £16.95 for a sharing antipasti board for two. Mains are from £12.95 for classic fish and chips up to £24 for an 8oz sirloin steak. All the bits on the side are £3.25. Pudding is around £7.